This post was written by KB Badu-Antwi, Principal Program Manager in the Cloud + AI Division. 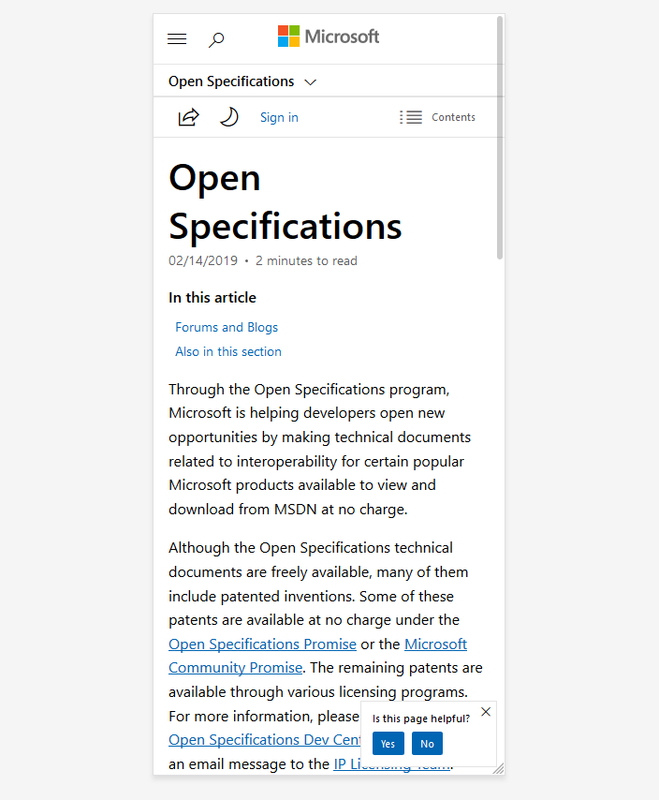 Today, we are excited to announce the launch of our Open Specifications content on docs.microsoft.com. Open Specifications represent technical documents for protocols, computer languages, standards support, and data portability. The goal with Open Specifications is to help developers open new opportunities to interoperate with Windows, SQL, Office, SharePoint, and IE. Content displays equally well on all devices, whether you are on the go using your smartphone, or working in your office, on your desktop computer. Content is now grouped by product, making it easier to find relevant documentation. You will find the preview docs, list of issues, and archived docs for a particular product all in one location in the table of contents. 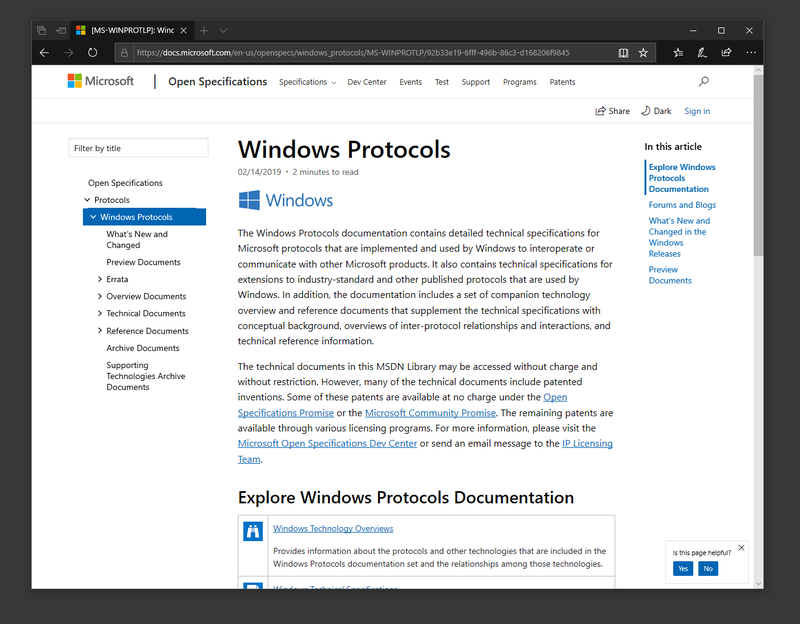 It's now more convenient to jump to the documentation you are looking for - you can use the top header, the table of contents or the in-page navigation map. Want to share some of the content with your colleagues or social network? You can do so directly from the documentation, with the help of the Share button! Quickly find the document you are looking for with the built-in table of contents filter - start typing in the term, and the list of available titles matching it will be updated in real time! 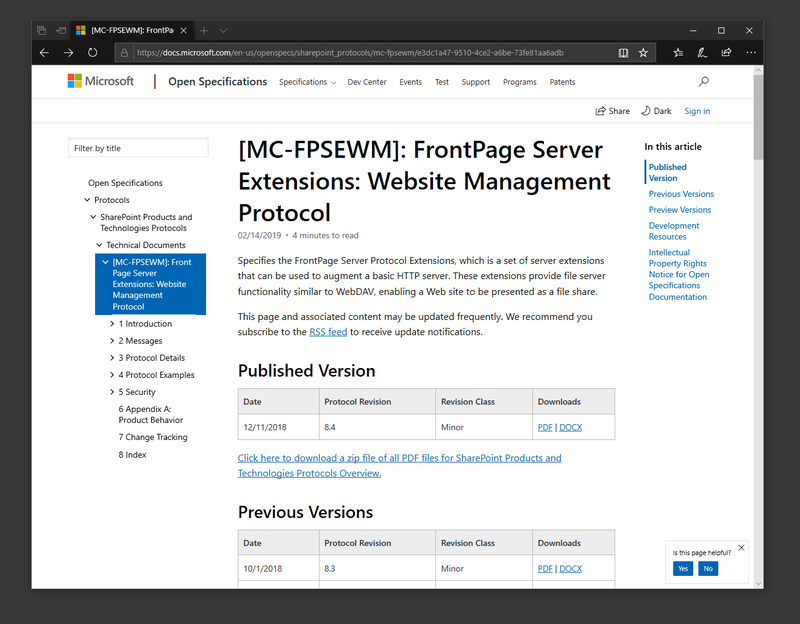 If you've saved bookmarks to your favorite technical specifications, don't worry about updating them - all MSDN links will be redirected seamlessly to their new locations on docs.microsoft.com. 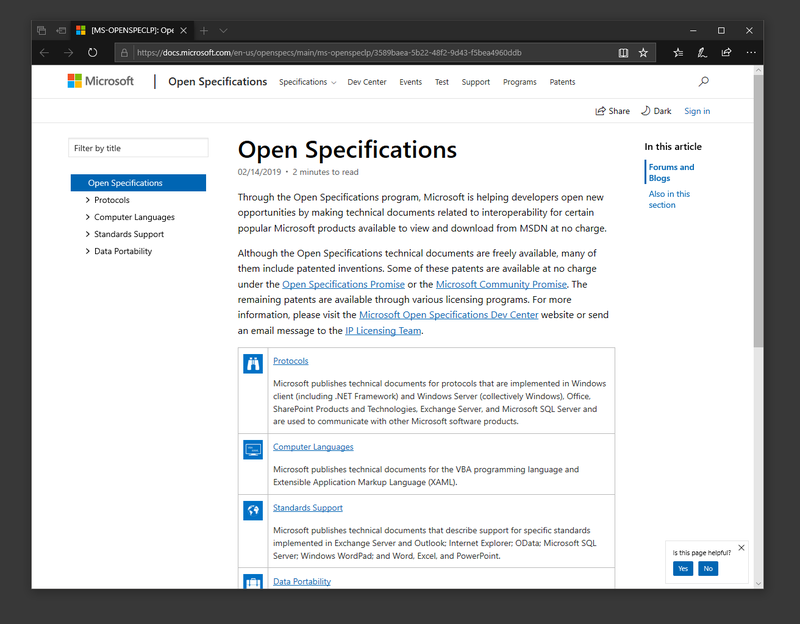 We want you to tell us how we can make our Open Specifications experience better - just open a new issue, and we will get back to you as soon as possible. You can also follow our Twitter account for latest updates and notifications!